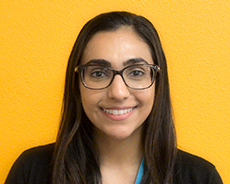 Dr. Saini is a clinical psychologist who has over 7 years of experience providing therapy and psychological assessment services to children, adolescents, and adults in various settings including outpatient clinics, schools, community mental health agencies, an intensive outpatient program, and a therapeutic milieu. Her passion lies in serving children, adolescents, and families. In her clinical work, she values empathy, genuineness, cultural competence, and strengths-based practice. Dr. Saini completed her pre-doctoral internship at Pacific Clinics in Monrovia with a clinical emphasis on working with youth and families. She completed her post-doctoral residency at WestCoast Children’s Clinic in Oakland, where she conducted psychotherapy and therapeutic collaborative assessment services with a focus on trauma-informed care.